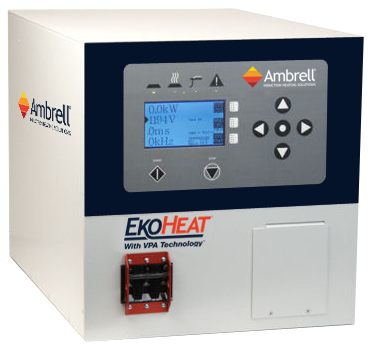 Ambrell has sold an EKOHEAT 15 kW/100 kHz induction heating system for a metal-to-plastic insertion application. The customer is a supplier in the automotive industry. The client leveraged THE LAB at Ambrell to design the right coil and induction solution for heating multiple inserts. The system was integrated into an automated assembly line. The expertise of THE LAB and Ambrell's wealth of experience with the application and automotive industry made Ambrell the right choice for the client. Ambrell has experience with an array of automotive applications including gear hardening, shrink fitting camshaft gears, brazing various tubes to fittings, curing filter end caps to filters, preheating parts such as transaxles for welding, and preheating cylinder liners prior to insertion into aluminum engine blocks. For more information about Ambrell's experience with automotive applications, visit our Automotive Spotlight page. For additional information about metal-to-plastic insertion, visit our process page.